Beautiful 4 BR, 1.1 BA Split with a versatile floor plan. This home features and eat-in kitchen, three bedrooms on the upper level and a fourth bedroom or office on the lower level.Noteworthy attributes include: central air conditioning(2014), custom moldings, large family room w/brick raised hearth fireplace, French doors to a paver patio and swimming pool, fenced yard and more! 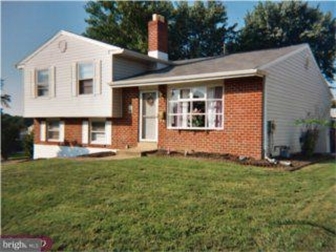 SOLD BEFORE PROCESSING Parent to family member sale,-transactional worked for 2.5%.